Looking for bespoke training or help starting a community construction project? 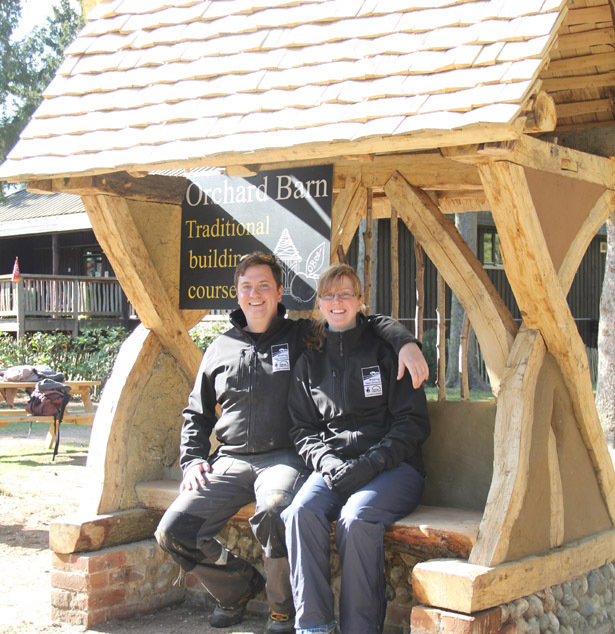 Need Natural/Traditional Construction training designed and delivered? Starting an off-grid or community project and need guidance? 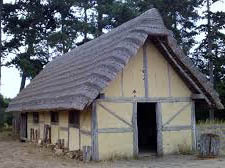 Materials: Timber Frame - Brecks Oaks (felled, hewn and converted by hand), Rafters - Elm poles, Shingles and Battens - Sweet Chestnut (hand cleft), Seats - solid Oak, Wattle - coppiced Hazel, Daub infil - clayrich subsoil and straw, Clay Render - clay and sand, Foundations - flint, lime, sand and brick, Footings - lime and ballast.